An opium dealer makes his way on slippery ground. In winter everything is frozen solid, including the young Amu Darya river. 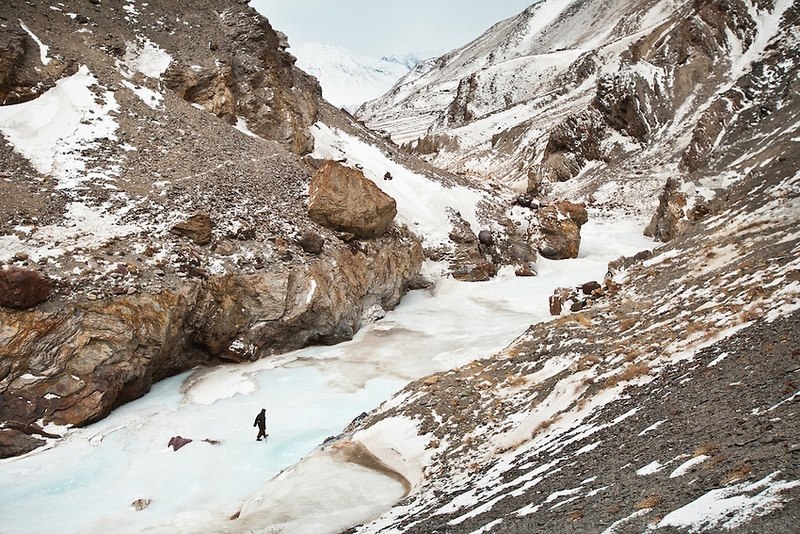 For most of the year, the only way to access the Afghan Pamir is by walking up this frozen river. The dangers are real, and people regularly die by falling through the ice or getting hit by avalanches...Between Kher Metek and Mirzo Murad shepherd house...Trekking down the Wakhan frozen river, the only way down to leave the high altitude Little Pamir plateau, home of the Afghan Kyrgyz community.